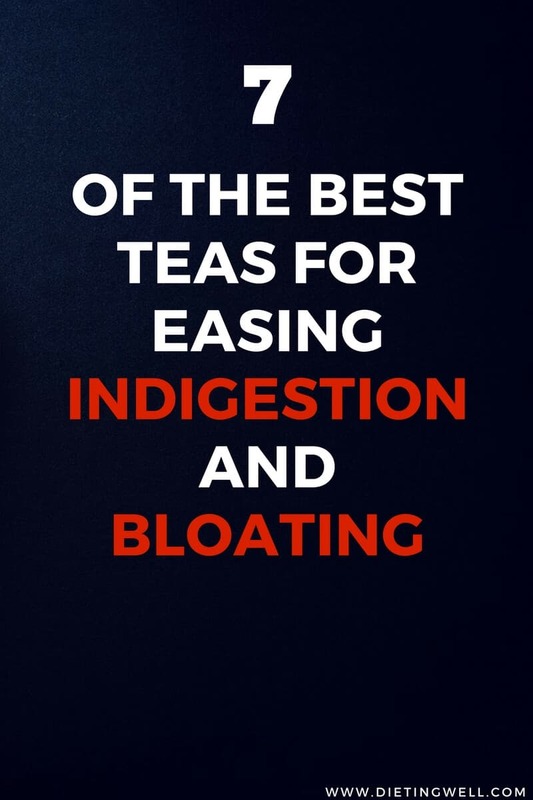 One of the best things that you can do for your health and to take care of problems like bloating and stomach issues is to follow the practice of enjoying a cup of herbal tea. While commonly called herbal tea, this preparation of the leaves, stems, roots, flowers, or berries of plants and herbs with medicinal and healing properties is also known as a tisane, infusion, or decoction. There are many causes that can lead to stomach bloating and discomfort. Modern life is hectic and fast-paced. We often eat hurriedly, while distracted or multi-tasking. According to WebMD, one in ten Americans admit that they suffer from bloating regularly. Slowing down and enjoying a cup of tea is a way to be in touch with the moment while honoring the timeless tradition of the ceremony of drinking tea celebrated across a number of cultures and now enacted in your own home or favorite café. There is something about holding a favorite mug or cup, warming one’s hands, inhaling the aroma, and slowly sipping that is relaxing in and of itself. It is an invitation to take agency in working on restoring your digestion and your peace of mind. People from cultures as diverse as ancient China to Egypt to the Americas have prized the healing qualities of herbal teas. There are ceremonies, belief systems, and cultivation and preparation methods that have been honed over the years. To encourage a healing modality, try restoring digestion via a cup of tea. It’s a practice that links you to many venerated traditions that utilize the plants and herbs that comprise herbal tea. It is a body of healing knowledge found throughout the world and it is now backed by contemporary science and study. Warm your cup and teapot with boiling water before using them for your beverage. Considering using a teapot or covering your cup to maximize the essential oils and volatile organic compounds while the tea is brewing. Very hot water, almost to the boiling point, is the best temperature for tea preparation. Many people enjoy immersing their tea of choice into a tea ball infuser. It’s economical, ecologically sound, and allows for ease of preparation and a great variety of tea choices. You can also buy tea bags and fill them with your choice of tea. Steep herbal teas for a longer time than you would traditional black tea, to allow the beneficial oils and agents to emerge. Herbal teas may be enjoyed hot or cold. Just as you would with traditional teas, you may use milk, soy, honey, sugar, or lemon to sweeten or flavor your beverage. Peppermint, or to call it by its medical name Mentha piperita, is a cross between water mint and spearmint. Peppermint tea has a restorative, soothing effect on the digestive system. 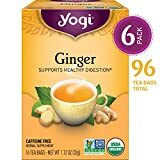 This delicious tea can act as a cooling carminative as it diminishes discomfort and bloating in the digestive tract by helping gas to move through the stomach and intestines after meals. It also reduces bad breath, relaxes the body and the mind, boosts the immune system, works to ease indigestion, and can be a boon to weight loss. Peppermint tea has a base element of menthol, which gives it it’s distinctively stimulating, fresh, delicious taste. Besides being served hot as a simple tea, it makes a delicious iced beverage. It’s caffeine free, which makes this a perfect drink for any time of the day or night. Place 7-10 tea crushed tea leaves into 8 oz. of hot water. Let steep for 10 minutes, strain, and enjoy. For another method, since Peppermint tea bags are readily available, simply immerse a tea bag into 8 oz. of hot water and let steep for ten minutes. Chamomile tea is derived from a daisy-like plant in the Asteraceae/Compositae family. There are two species of chamomile: the German, Hungarian, wild, or genuine chamomile is known as Matricaria recutita, and the English, Roman, Scotch, garden, common variety is known as Chamaemelum nobile. Chamomile makes a delicious, mildly flavorful tea that contains anti-inflammatory, antibacterial, and astringent properties that make it useful in aiding digestive ailments. Soothing to the body and soul, chamomile tea has long been used to ease anxiety and to soothe the nerves. Its calming effects may be owed to apigenin that binds to benzodiazepine receptors. In his book “1,000 Cures for 200 Ailments,” Dr. David Kiefer states that the oil found in chamomile helps calm gastrointestinal aggravation. Caffeine free, Chamomile, noted for its calming effects, may be best enjoyed in the evening or during those times when one is seeking a beverage with gently mellowing, sedating effects. Add 2 teaspoons of fresh chamomile buds, or 1 teaspoon of dried chamomile buds, to 8 oz. of hot water. Steep for ten minutes. Sieve out the buds and serve. Chamomile is another tea that is readily available in teabags. Another method is to immerse a tea bag into an 8 oz. cup of hot water and let steep for ten minutes. Lavender Tea, made from the flowers of the lavender plant is known by the scientific name Lavandula angustifolia. Lavender is celebrated for its beauty, its fragrant aroma, and its medicinal properties which include a calming effect and aid in alleviating depression. It is also soothing for digestive ailments, intestinal gas, nausea, vomiting, and for easing an upset stomach. 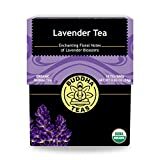 Lavender tea is thought to possess these healing properties due to an oil that seems to have sedating effects and might relax certain muscles. The aroma and scent of lavender are so appealing that they are added to many products from organic beauty aids to foods. That said, lavender tea is not as readily available as peppermint or chamomile tea, which may be found in almost any grocery or café, so you may want to grow your own plants or have a ready store of fresh or dried flowers on hand. Immerse 4 teaspoons of fresh blossoms, or 2 teaspoons of dried, preferably organic, into hot water. Let steep for ten or so minutes before straining. Lemon Balm Tea or Melissa officinalis has among its many benefits the ability to calm the mind while at the same time sharpening it by boosting alertness, making it a beneficial beverage to sip at any time. The leaves of the lemon balm plant look similar to those of mint, and indeed, lemon balm and mint come from the same family. The volatile oils in lemon balm are believed to contain chemicals that relax muscles, particularly in the bladder, stomach, and uterus, therefore giving it the ability to relieve cramps, gas, and nausea. Place 2 teaspoons of fresh lemon balm, or 1 of dried, into 8 oz. of hot water. Steep for ten minutes. Sieve and serve. Dandelion root tea is also known as Taraxacum. It is made from the roasted dandelion roots. You will want to harvest the crop from an area free from insecticide and herbicide usage. It is believed that dandelion could protect against oxidative stress related to certain circulatory disorders. According to Dr. Edward Group, as reported in The Global Healing Center, dandelion root tea gains its power by kynurenic acid, an amino acid that aids bile production. This tea activates bile production and its transport and it eases toxins out of the body, thus dandelion root may support your body’s natural immune response. If possible, select young plants. Chop up the roots and then roast in a 250-degree oven for two hours. Fill a tea ball or a tea bag with 1 teaspoon of the ground roots. Steep in hot water for 10-15 minutes. Enjoy! Fennel is known as Foeniculum Vulgare Miller. It is believed that the components of the essential oils in fennel act as stimulants, thus aiding in the secretion of digestive and gastric juices, which reduce inflammation of the stomach and intestines. They also help in the proper absorption of nutrients. As an added benefit, fennel also helps in reducing the problem of constipation and it protects against a wide range of intestinal troubles. Fennel also has anti-acidic properties and is used in formulating antacid preparations. It is an excellent anti-flatulent curative due to the carminative properties of the aspartic acid found in fennel. Crush 2 teaspoons of fennel seeds. Place in a tea ball or empty tea sachet. Add 8 oz. of hot water. Steep for ten minutes. Enjoy. Ginger is known as Zingiber officinale. The root is the part of this flowering plant that is enjoyed for culinary and medicinal uses. Ginger tea promotes cleansing of the body through perspiration. Enjoy a cup of ginger tea to help clear up flatulent colic. Ginger tea promotes a cleansing perspiration when taken hot. Ginger tea is noted for being helpful in easing bloating, heartburn, flatulence, and nausea and as an aid to digestion. Ginger is well-loved for its ability to soothe and ease an aching tummy. Add 1 tablespoon of peeled and grated ginger, or ½ teaspoon of powdered rootstock, to 2 cups of hot water. Steep for ten minutes. A delicious addition is to add a hint of lemon and honey for a zing of flavor. Enjoying a cup of tea is one of the best things that you can do to take control of health issues. It reduces indigestion, allows time to relax, and creates a ceremony that encourages enjoyment, agency, and optimum health. A word of caution. Herbal teas are delicious, nutritious, calming, and a wonderful addition to a healthy lifestyle. Yet, like any other nutritional supplement or food, herbal teas may interact with medications or with other supplements or foods. Inform your health care provider about any medications, supplements, and teas that you currently consuming so that you may implement a care plan suited to your individual needs. Whether you cultivate your favorite plant or herb in a window garden, grow it on a plot of land, purchase it from the farmers’ market, or order it online, there are many options to procure your favorite teas. Experiment to see if you enjoy the simplicity of tea bags, the ease of tea balls infusers, the ritual, and plentitude of a pot of tea, or fresh herbs brewed and poured through a sieve. Experience and access will help you determine if dried or fresh herbs work best for you. If you find something that is wonderful, store it in a dark, air-tight container, kept in a cool dry place. Herbal tea is a beverage that is used for bestowing health and comfort. Enjoy a tisane in solitude and reflection or shared with someone special at the kitchen table or a favorite café. Try a cup of health restoring herbal tea today and be on your way to enjoying the best health ever!